What’s your hair type? Everyone has a unique hair type, ranging from extremely fine and thin to thick and heavy. Because dreadlocks requires the meticulous braiding of hair to form interwoven “dreads,” it’s often difficult for people with fine hair to create and maintain dreadlocks. But just because it’s difficult doesn’t necessarily mean that it can’t be done. It’s important for people with fine, thin hair to wash their hair before dreading it. As you may already know, thin hair has a tendency to clump together when left unwashed for long periods at a time. The individual hair strands will stick to each other, making it difficult to properly dread. By washing your hair beforehand, you’ll have an easier time dreading it into locks. If you are having trouble dreading your hair, you may want to a wait for a while for it to grow. Thin hair is difficult to dread, largely because the strands have a tendency to slide outside the locks. This problem is eliminated, however, when your hair is longer, as longer dreadlocks are more secure and shorter dreadlocks. So if you are willing to wait a little way, try to hold off until your hair has grown before dreading it into locks. 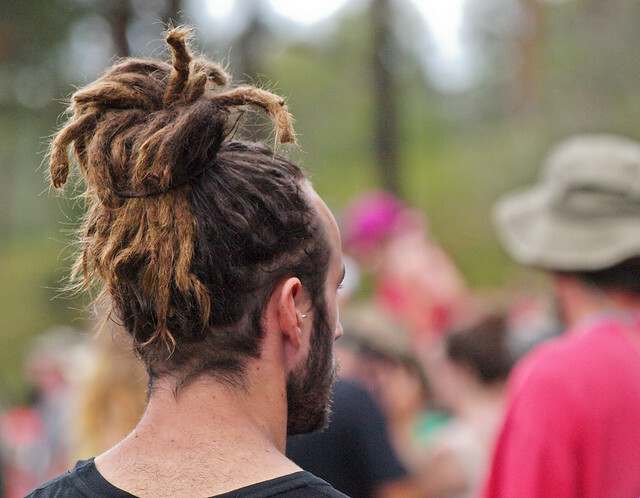 It’s especially important for people with thin hair to focus on improving their hair health if they wish to sport dreadlocks. When hair becomes thin, it’s susceptible to breakage and split-ends, which in turn can result in strands falling out of the locks. You can improve the health of your hair, however, by following some simple steps. For starters, choose your hair products wisely, avoiding shampoos and conditioners that contain lots of artificial, hard-to-pronounce chemicals. Also, make sure you are eating a well-balanced diet with plenty of fruits and vegetables. You have one of two different options when creating dreadlocks: you can either do them yourself (or via friend/family member), or you can have them done professionally. Assuming you have fine, thin hair, it’s recommended that you choose the latter. A skilled beautician will have an easier time dreading your hair into full, complete locks. Furthermore, they can provide expert hair care advice that’s tailored towards your specific hair type. For the price, having your hair professionally dreadlocked is a smart investment that will pay off in the long run. Hello, first I want to say, you are beautiful! I am a 50 year old woman who has always wanted dreadlocks. Since I’m not African American, I asked my Rastafarian friends what they thought about me getting/having dreadlocks and they loved the idea, they’re just beautiful people. I just wanted to thank you for the great advice you’ve written, it’s been very helpful.